Selling a boat is similar to selling a car or home. Before you jump right into it, there is some preparation that should take place to make the selling process more seamless and successful. You need to do your research to determine the value of your boat to determine a fair asking price for it. You’ll also need to advertise. This requires a budget as one can easily go overboard (no pun intended) and go over budget. It’s necessary though because you can’t expect many inquires if you don’t make people aware that your boat is for sale. The perfect balance is where you do enough quality advertising that you attract enough interested inquiries to ensure that one will lead to a sale, while also not posting vague, poor-quality ads everywhere you can. To get the best possibility of a decent sale, you need to do some research on your audience. Who would most likely purchase and enjoy your boat? That will determine how you word your ad, set the price and where you advertise. If you or someone you know has been boating for a while, chances are you’ve heard of online boat classifieds. These are some of the most common places for boat owners to sell and buy their boats. Their interface is easy to use and you’ll likely reach your desired audience. While these sites may be reputable and trustworthy, they often overcharge for very limited advertising services. Selling anything online seems easy. After all, isn’t the whole idea to post an ad and immediately get a qualified, interested customer within hours of posting? We’ve come to somehow have this unrealistic expectation of online advertising and classifieds sites. If we don’t see results or think selling boats online is a scam, it can be tempting to sell your boat on your own without the advertising assistance of an online classifieds site. It may seem cheaper and you’ll have more control over your advertising. However, you’ll lose out on more serious inquiries and the opportunity to get the price you’re looking for for your boat. Online classifieds are popular because everyone is now going online to make purchases. Utilizing the advertising resources and platform of an online boating classifieds website can give you expert support, and greater online exposure. But how do you avoid high advertising costs with limited advertising space that is commonly seeing with the biggest online classifieds? And maybe even more importantly, how do you set your boat’s ad apart from the others? If you’re selling a boat in Long Beach, CA or even anywhere in the United States, luckily there is another option. It’s BuyBoatz.com! 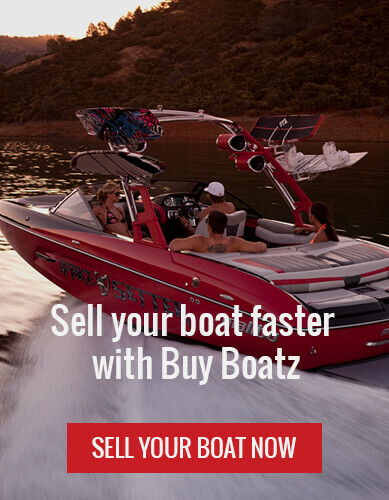 BuyBoatz.com offers an affordable solution to help get your boat in front of more qualified potential buyers for a fraction of the price of other boat classified sites. If your boat is under 26’, the listing is even free! There are a few different packages to choose from that beat out the competition in all aspects. Learn more about Buy Boatz boat selling packages here. If you’re selling a boat in Long Beach, CA, contact us at BuyBoatz.com and see how we can help get your boat off your hands at your asking price.